Are you a chiropractor? Add your listing. Upgrade your website to be search engine-friendly and beautiful. Increase engagement with automatic patient newsletters, and help new patients find you with our search engine optimization services. The nation's leading directory of chiropractors for 25 years! Chirodirectory.com serves as a database for individuals seeking a listing of chiropractors in their local area. We provide details about each chiropractor, including their chiropractic methods and practices, their education, and contact information to their clinic. Use the search or browse chiropractors by city and state to find a chiropractic physician in your area. 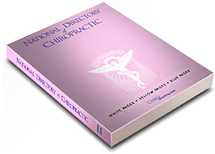 The National Directory of Chiropractic print edition has been the chiropractic profession's directory for over 25 years. Thank you! You'll be among the first to receive the new directory. The directory is mainly used within the chiropractic community. The White Pages, made up of over 65,000 listings, serve as the profession's main referral tool. Listing the individual clinic's services and techniques, it enables chiropractors to make educated decisions when a referral is necessary. The Yellow Pages include listings for the business aspect of chiropractic including organizations, associations and colleges. Rather order by phone? Call us at 801-533-4199.